The bobcat is a small cat whose habitat ranges from southern Canada to central Mexico. Bobcats are adaptable cats that thrive in most areas, including wooded areas, semi deserts, urban edges, and swamplands. There are currently 13 different species of bobcats recognized. Some are listed as endangered with localized extinction in some areas. Bobcats in the wild live between 7 and 10 years and can live up to 20 years in captivity. Adult bobcats range in size from 18.7 to 49.2 inches long with a short, stubby tail that is only between 3.5 to 7.9 inches long. An average male will weigh around 21 pounds and average female around 15 pounds. Bobcats typically have a coat color ranging from gray to brown with a whiskered face and black tufted ears. The tufts of hair on top of their ears do not extend very far, like they do on the caracal. Bobcats have dark, visible spots on their white bellies. Bobcats are mainly crepuscular, meaning they are more active at dawn and dusk when their prey tends to be more active. Bobcats are solitary cats that will hunt small prey on their own. During winter months, bobcats will become more diurnal, meaning they are more active during the day, because their prey becomes more active during that time of the year. Bobcats are very adaptive and can live in a variety of habitats, including wooded areas, swamplands, and even in urban areas.  The principal threat to the bobcat is habitat loss. They also are killed by farmers in retaliation for killing their livestock. Bobcats can be found all over the United States up into southern Canada and down into Mexico. Bobcats primarily eat rabbits and hares, small rodents, and occasionally livestock, such as goats or sheep. They are, however, capable of taking down prey as large as small deer. If they kill a deer, they will often return to it over the course of a couple days and continue to feed on it. Female bobcats give birth to typically 2 to 4 kittens after 60 to 70 days of gestation. The kittens stay with their mothers for about the first year then venture out on their own. Bobcats are solitary cats that are highly adaptable. They are found in rural and urban areas alike and, as long as there is suitable habitat with plenty of prey, they will make themselves at home. Bobcats can often be heard at night fighting with rivals or other animals and many people report that it sounds like a woman’s scream. 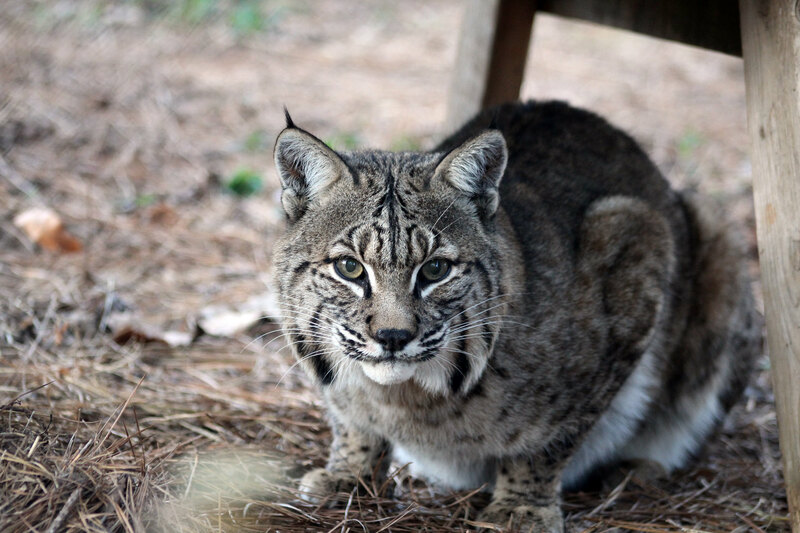 Bobcats are currently listed as "least concern" on the IUCN Red List, though some of the subspecies are becoming locally extinct due to habitat loss. Bobcats are named for their short tail that appears to be "bobbed"